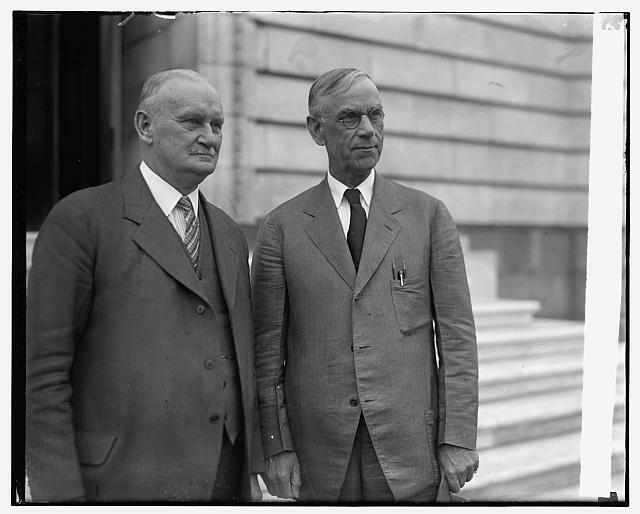 Rep. Willis C. Hawley, left, and Utah Sen. Reed Smoot, right, sponsored the Smoot-Hawley Act in 1929, raising tariffs on imported goods. The legislation slowed trade and provoked retaliatory duties from other nations at the start of the Great Depression. As President Donald Trump threatens another round of tariffs on Chinese goods, Utah’s business and elected leaders are sounding the alarm over the growing trade war and its effect on parts of the state. The tariffs are even invoking comparisons to an earlier era when a Utah Senator named Reed Smoot became synonymous with the negative consequences of protectionism. Smoot was a Mormon apostle and Republican Senator who served in Congress for three decades in the early 20th century. In 1929, Smoot co-sponsored trade legislation dubbed the Smoot-Hawley Act that imposed tariffs on hundreds of imported goods. The legislation represented a mainstream GOP position, said Harvard Heath, a retired Brigham Young University professor who authored a book on Reed. Smoot’s interest in tariffs was personal, too. The Church of Jesus Christ of Latter-day Saints was heavily invested in the sugar industry — with Mormon farmers growing sugar beets across the Intermountain West, Heath said. When cheaper imported sugar started coming from Cuba and other island nations, Smoot moved to stabilize prices for Utah’s farmers. But by the time Smoot and his House counterpart, Oregon Rep. Willis Hawley, got their bill signed into law in 1930, the stock market had already crashed and the country was in dire economic straits. What was intended to help save agriculture jobs only ended up hurting them. “Once the Depression started, as prices began to fall, what that meant was that those taxes became a higher percentage of a price of that good,” Maloney, the University of Utah economics professor, said. Economists are split on the degree to which the tariffs made the Great Depression worse, but there is consensus that they didn’t help. Much like Trump’s tariffs today, the Smoot-Hawley Act provoked nations to hit back with their own. “There were reactions — retaliatory tariffs from some trading partners,” including Canada, Maloney said. 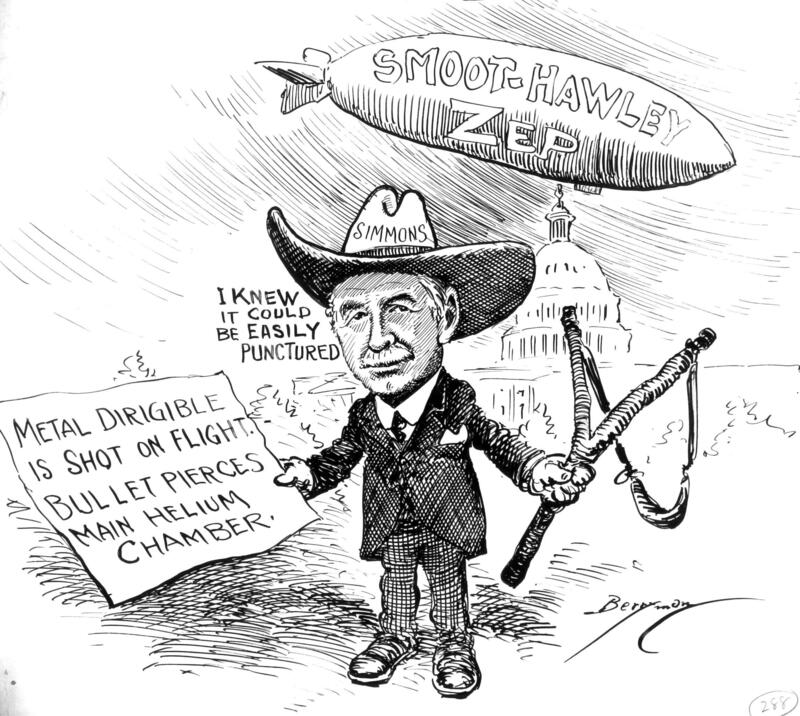 A political cartoon from the era lampoons the Smoot-Hawley Act. Even though some historians believe Smoot is unfairly maligned for circumstances beyond his control, the Smoot-Hawley Act remains a highly significant — and noted — event in U.S. economic history. During a June Republican primary debate between Senate candidates Mitt Romney and Mike Kennedy, Smoot’s name surfaced again. “What about a trade war? We’ve experienced that in the past with a Senator from Utah named Smoot. It’s in every econ textbook. Do we want a trade war?” asked moderator and BYU professor David Magleby. Maloney said it makes sense that people want to draw parallels to the tariffs, even though the United States’ exports were not nearly as large during the Great Depression as they are now. “In that sense, we might expect that the tariff policy and potential for retaliation would be a bigger deal now because it affects a greater share of the economy,” he said. In 1932, two years after the Smoot-Hawley Act passed, Democrats took over Congress and Smoot and Hawley lost their re-election bids. The Democratic-controlled Congress and new Democratic president, Franklin Delano Roosevelt, swiftly moved to lower tariffs. BYU’s Heath said Smoot shied away from public life after his defeat, believing he had done what he thought was best at the time. Due to the worst economic crash in U.S. history, it wasn’t enough. “Unfortunately for poor Reed Smoot, he’ll always be remembered for [the] Smoot tariff, and that will haunt him still,” Heath said. Utah exporters and business leaders worry a trade war with Mexico, Canada and Europe could harm the state's agriculture and food industries. Japan is considering hitting back against the U.S. in retaliation for America's steel and aluminum tariffs. A Japanese levy could hurt our region's agricultural industry. The Chinese government has retaliated in what appears to be an escalating trade war. 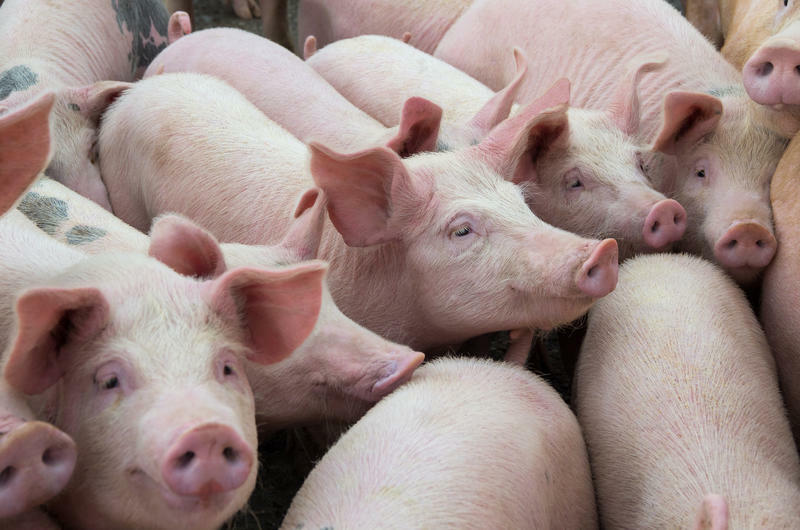 The government says it will slap tariffs on a long list of American goods including pork and fruit, a move that could put producers across the region in a bind. China buys a lot of American pork. 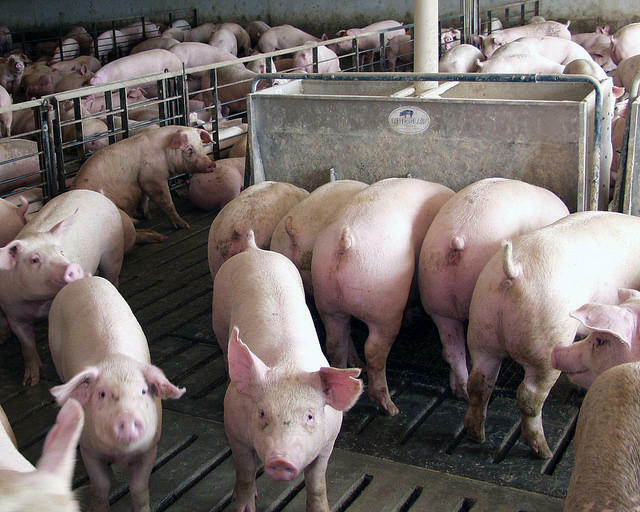 And while Iowa may be this country’s pig-producing colossus, tariffs would hit producers everywhere, including states in the Mountain West like Utah and Colorado.